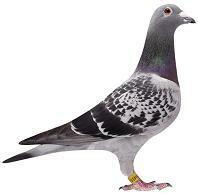 5th World Champ '98 1st Nat Ace Pigeon all Netherlands 2002 1st Nat Troyes 17883 1st Nat Borges 7155 1st Maaseik 3522. 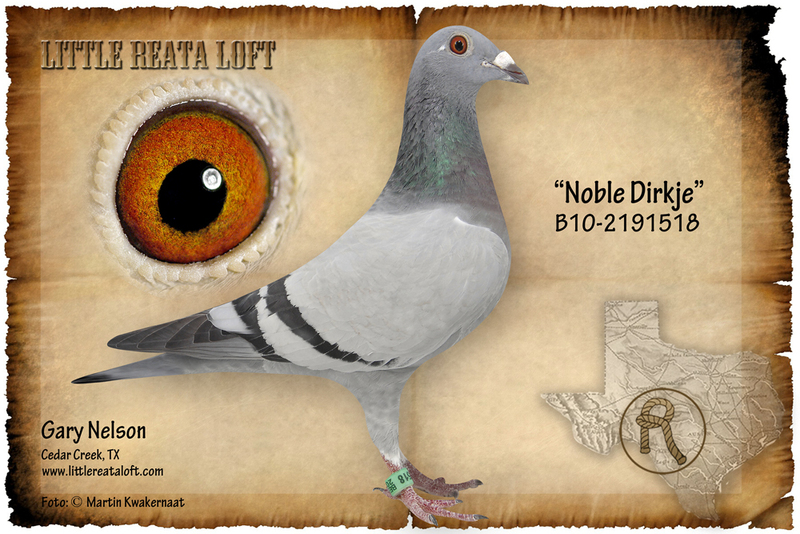 Sire of Dirky, Darryll Charly, Country Girl ALL ACE Pigeons. 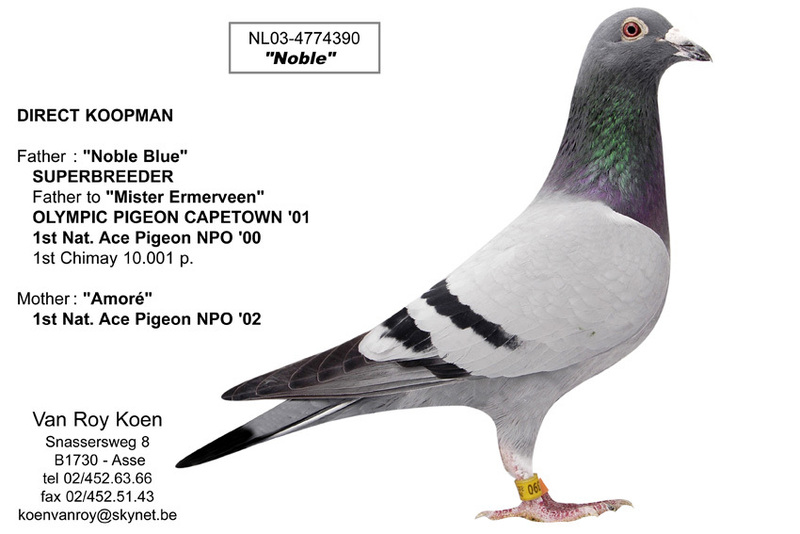 Dam to 1st Noyon vs 735 pigeons, 1st Noyon vs 634 pigeons, 1st Noyon vs 395 pigeons. 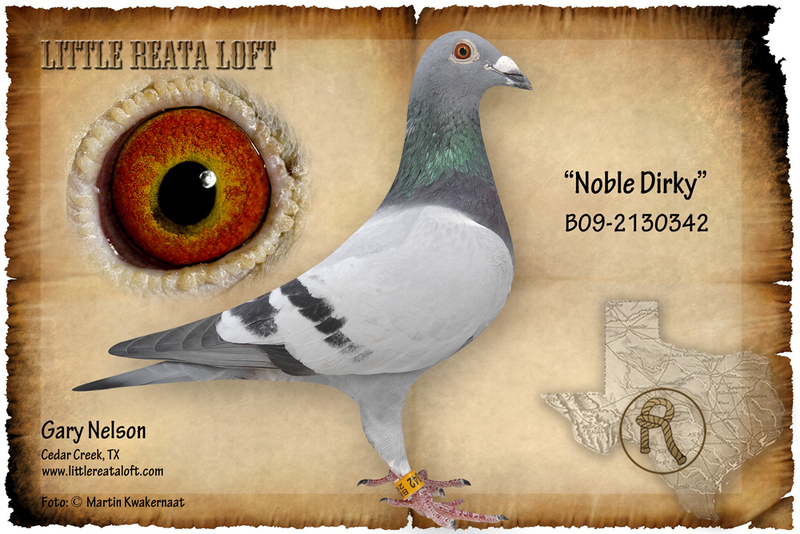 Direct Daughter of KLEINE DIRK. 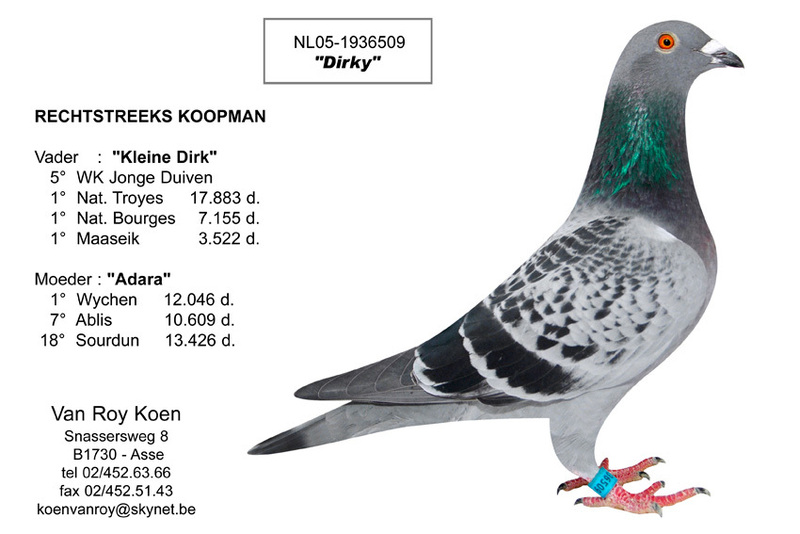 5th Worldchamp Youngbirds 1998, 1st National Ace Netherlands , 1st National Troyes vs 17,883 pigeons, 1st National Bourges vs 7155 pigeons. Half Sister to "Country Girl", 1st Chimay vs 3246, 4th Sourdun vs 13,426, 26th Albis vs 10,030, 35th Orleans vs 10,039.